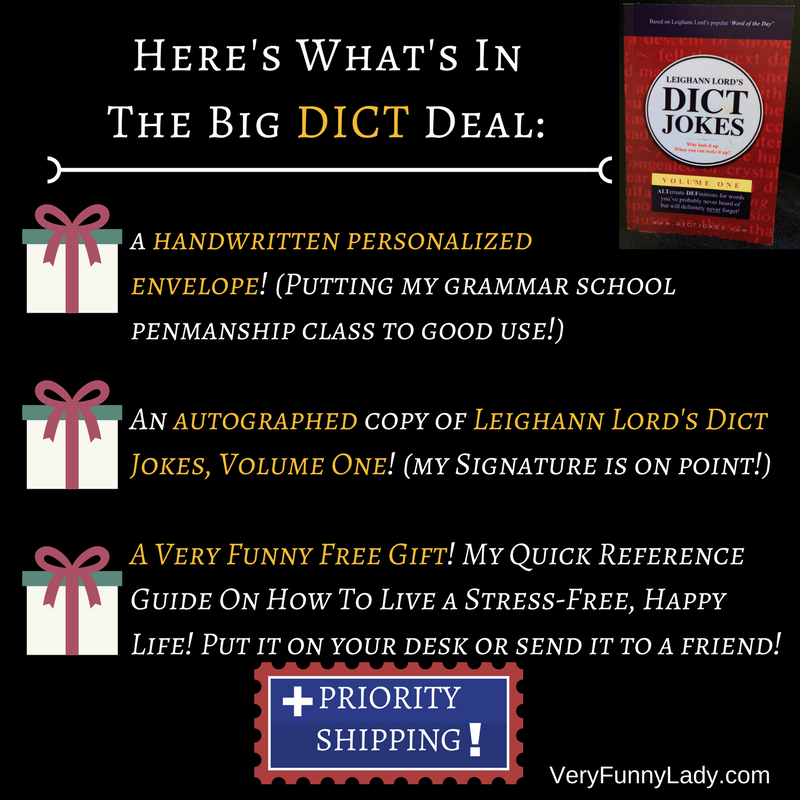 THE BIG DICT DEAL HAS BEEN EXTENDED! (Because who doesn't want more?) 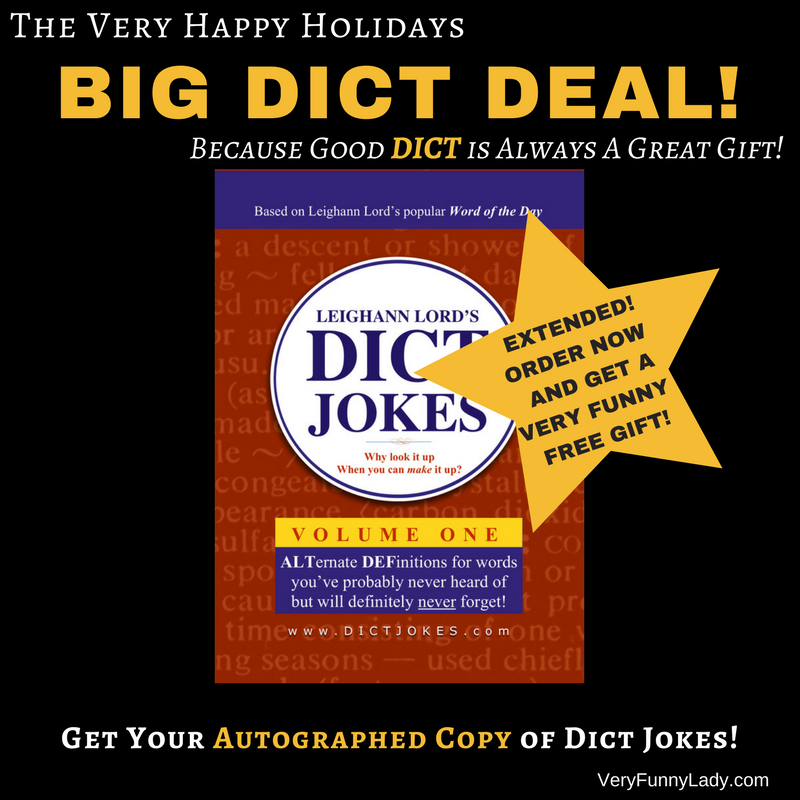 You can still order an autographed copy of my book,“Dict Jokes,” and get a very funny free gift!